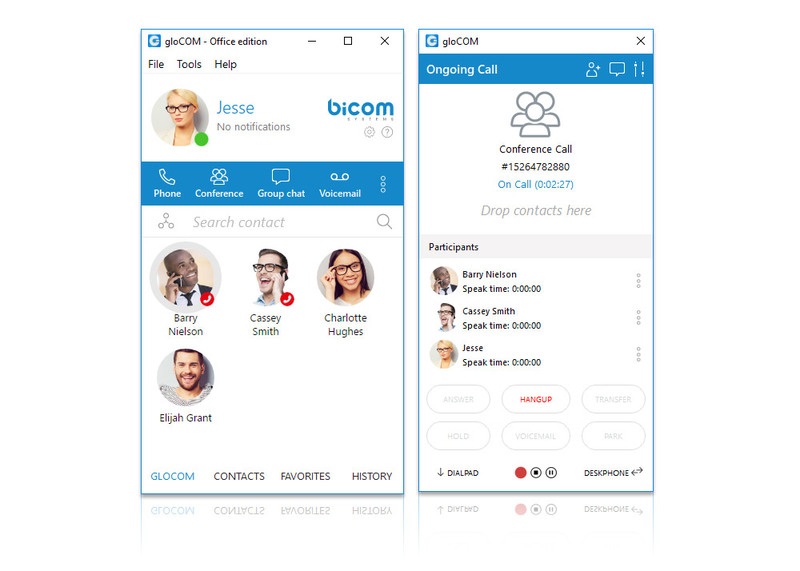 of gloCOM is a desktop application that expands the capabilities of your IP Phone with Office Unified Communications features. 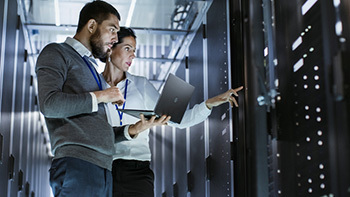 Together with Business, Call Center Agent and Supervisor editions it provides core Unified Communications capabilities while retaining the familiar phone system usability. gloCOM allows users to exercise office phone control features remotely without physically touching the phone. 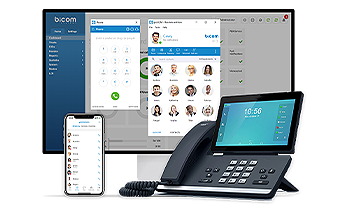 Answer and place calls using your IP Phone and seamlessly transition to gloCOM providing additional advanced Unified Communications features. You can control supported IP Phone models directly from the application. As a result you can continue working with no interruptions. 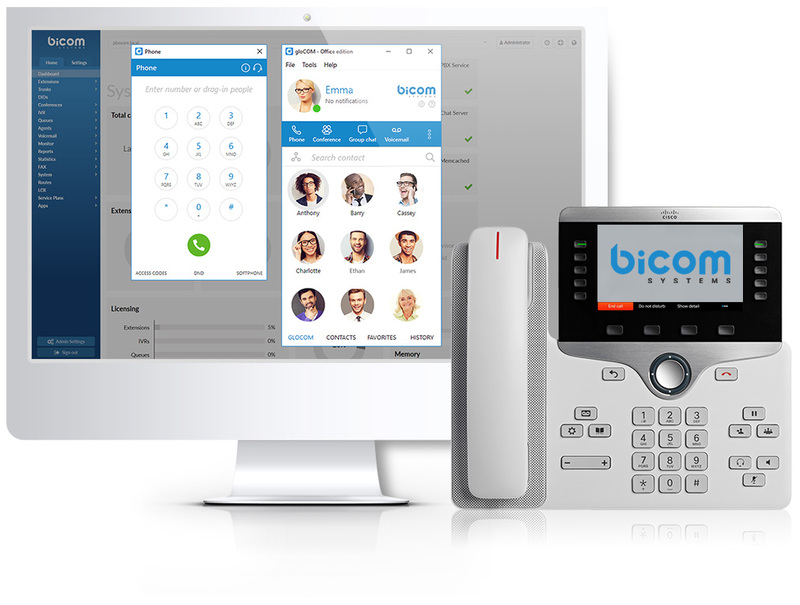 gloCOM creates a modern office communications system retaining the classic phone system experience. 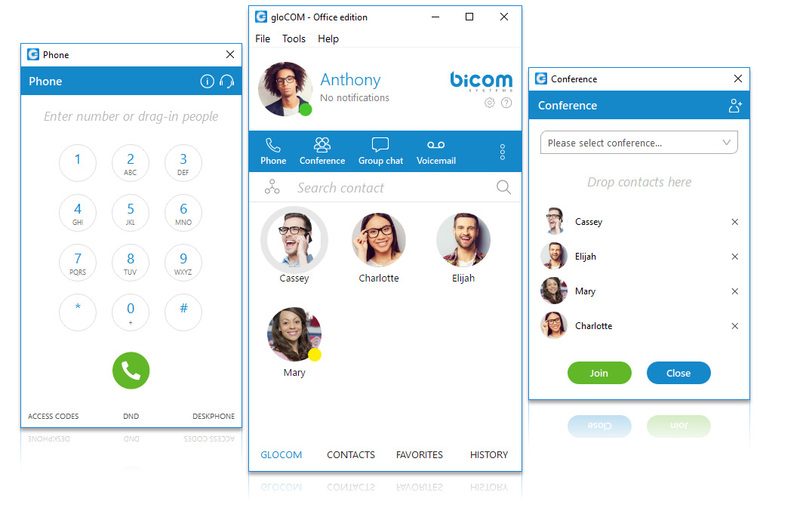 Keep your PBX, Outlook, Google and Apple contacts in the intuitive gloCOM Click-to-Dial interface, all in one application. Reduces the time and effort required to complete the installation of gloCOM – from download to placing a phone call in less than 5 minutes. When placed head to head with other UC on the market gloCOM is the fastest one out there based on its speed and simple installation. Take the gloCOM challenge and see for yourself how quick and easy it is to install compared to the “other guys” out there. Get things done quicker… ever been on a call with “one” colleague or supplier and needed to add someone else instantly to get the matter resolved instead of having to make a second call to resolve the matter later? With gloCOM, you can drag and drop other parties into your call seamlessly. Enjoy high quality calls (G.722 HD codec), instant messaging, seamless contact integration and voicemail inbox GUI. Deploy gloCOM on a large scale almost instantly, using Microsoft Installer and silent Install features. This would allow system admins the ability to deploy gloCOM over the network with ease. Use simple drag and drop actions to add users to call /chat /conference/group chat, make blind and attended transfers. Chat with one or more Users (single & group chat) at the same time, and keep a searchable history of every chat conversation. 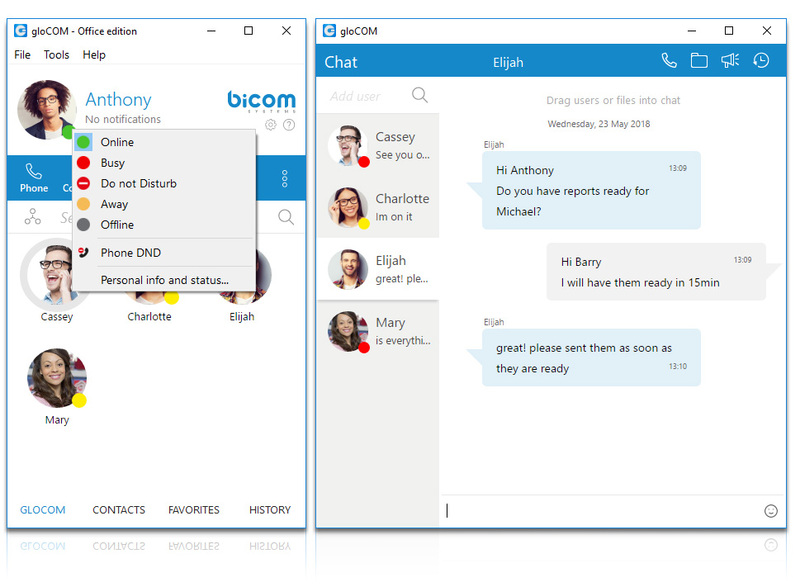 The Skype for business module is used for the integration between Skype for Business and gloCOM. 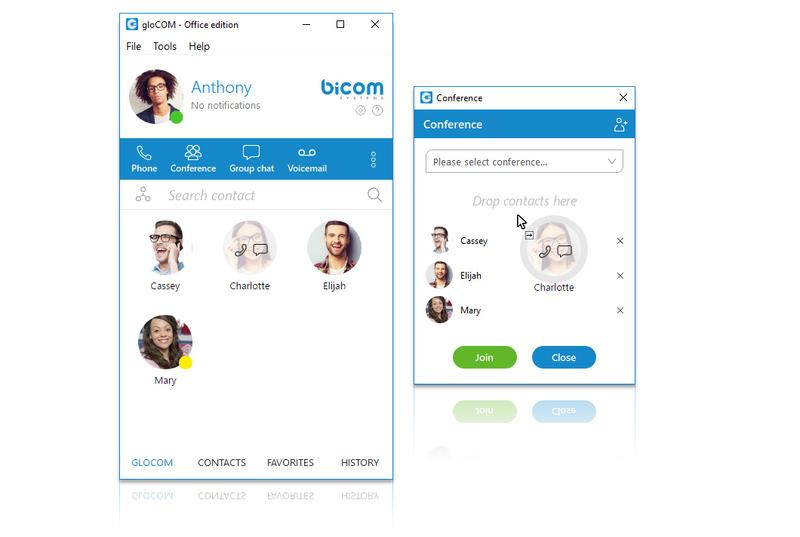 This module allows you to sync your gloCOM and Skype online presence and initiate a regular or conference call with one or multiple Skype for business contacts via gloCOM. Set your presence status and availability in gloCOM. View other users’ presence and availability. 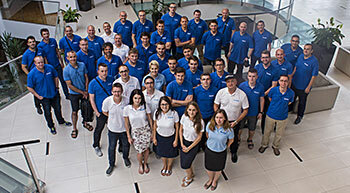 Sync Outlook contacts with gloCOM. Call them from gloCOM directly or from Outlook using the integrated Outlook plugin. When an inbound call is received, see who from your Outlook contacts is calling you. gloCOM works out of the box with over 100 headsets from the industry leading brands. 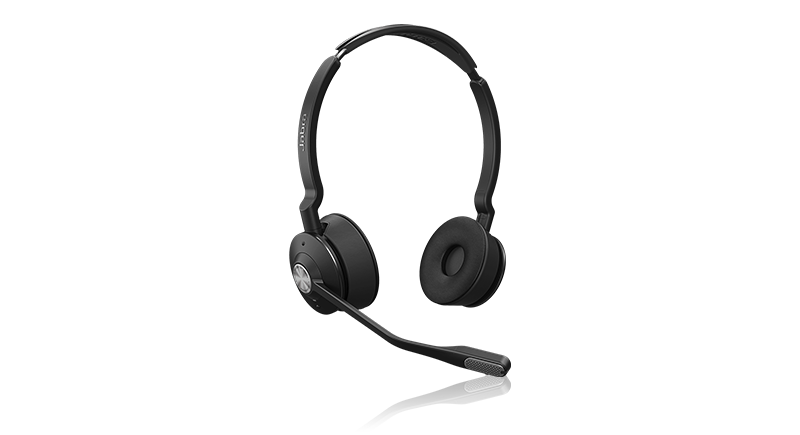 Some headsets from manufacturers such as Jabra and Plantronics offer advanced functionalities – allowing you to answer, hold, mute, or hang up a call using the headset buttons. Setting up and using your headsets is easy. Your clients will be happy, and so will you. gloCOM integrates with Salesforce, ZOHO, MS Dynamics, SugarCRM, Zendesk, Bullhorn, vTiger using their REST or SOAP API. Proprietary CRMs can be integrated with gloCOM as well using our CRM SDK. This feature provides access to CRM contacts and leads, Caller ID detection, support for uploading Call logs and Recordings and more. Create and control conference calls on any SIP phone or SoftPhone. Convert two-way calls into a conference call, and add as many participants as you’d like.